A Realtor for almost 40 years, Gael personifies the word professional. She possesses an uncanny ability to help make a very stressful time in her customers lives a little easier to handle. Her meticulous attention to detail, perseverance and constant communication with her customers all help to lessen the stress of buying and selling a home. 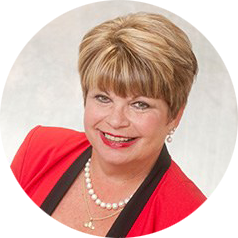 Gael is a consistent top producer since she became a Realtor in 1979. She has been a member of the Multi-Million Dollar Club and consistently remains in the top 10% of her profession. She has been awarded the Distinguished Buffini and Company Most Improved Lifestyle Award, the Petaluma Edgar Hansen Award, The Petaluma Chapter of Realtors’ Chapter Choice Award and Petaluma’s Realtor of the Year Award. In 1990 she was promoted to Manager of her former office; resulting in opening a new state of the art office in Petaluma. In 1994, she made the tough decision to step down from the management position in order to more fully devote her time to her family and to her clients. Ever since she has been devoting her life to her kids, grandkids and her clients! She can’t wait to help you achieve your Real Estate Dreams of Buying or Selling Real Estate?